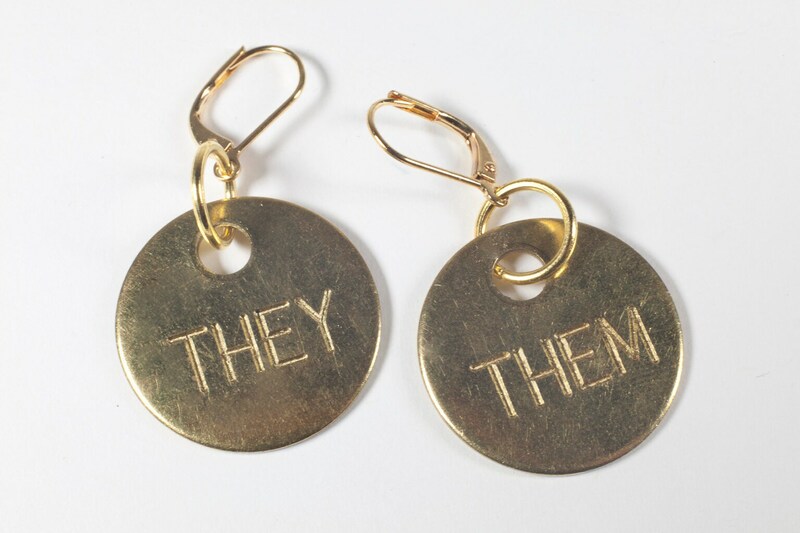 Earrings with They Them engraved. 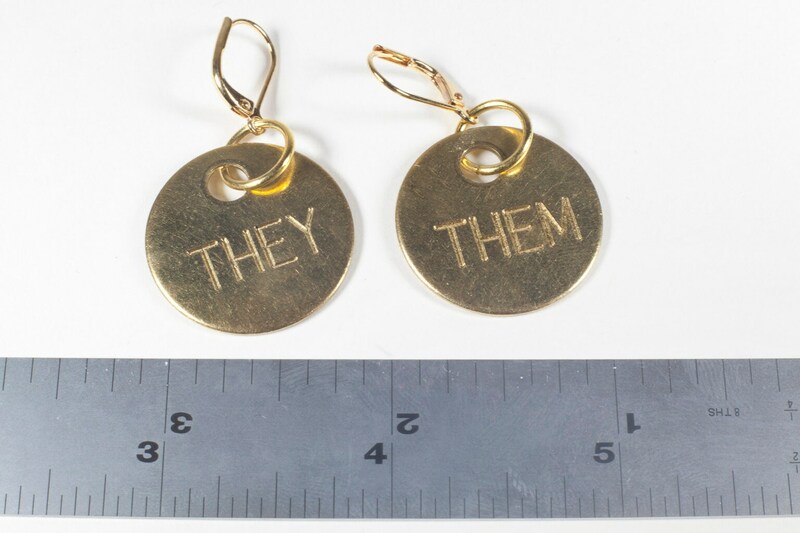 Disks are made from brass and engraved using a rotary engraver. Each disc is 1 inch in diameter. 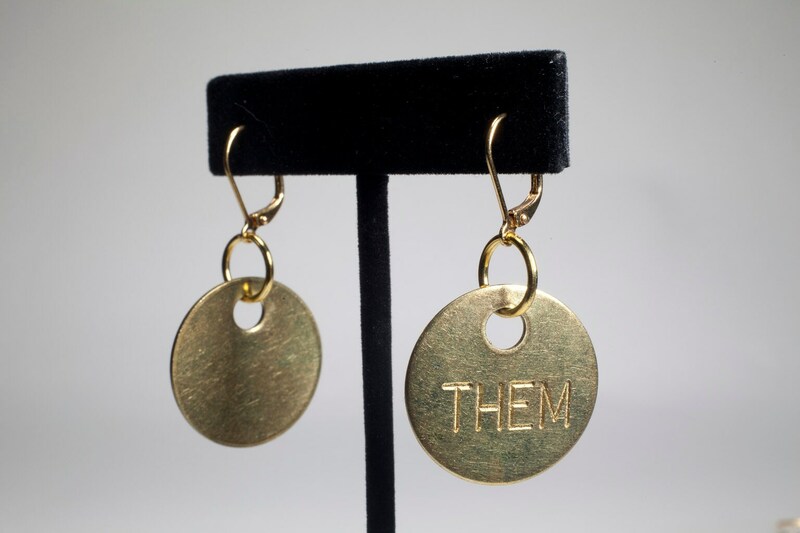 Lever back earring hoops are 18 krt gold plated. Nickel free.